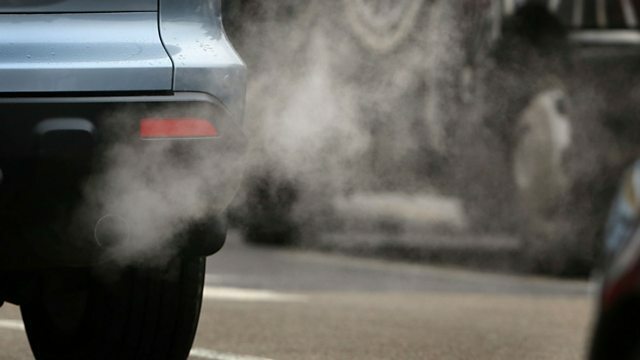 BBC World Service - Business Daily, Car Emissions: Cheating over CO2? Car Emissions: Cheating over CO2? Are car CO2 emissions a scandal in waiting? A new report says so, Also to fix Bosnia's dysfunctional economy, and Kellaway berates Microsoft's corporate "vision". The motoring world may still be reeling from the VW cheating scandal. But Business Daily today delivers a new bombshell: the allegation from Greg Archer, clean vehicles manager with the pressure group, Transport and Environment, that car CO2 emissions have been manipulated too. If true, it raises a whole new set of questions about fuel efficiency and climate change. Also in the programme, we have a repoprt examining Europe's other failing economy - no not Greece this time, but Bosnia - and the European Union might do to fix it. And Lucy Kellaway of the Financial Times looks at Microsoft and asks when a corporation's global vision can prove counter-productive. China and United States: Cyber Friends or Enemies?